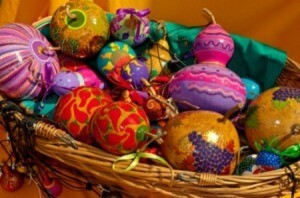 Painted gourds make beautiful decorations for all occasions and are also wonderful to give as gifts. This is a guide about painting gourds. When I see gourds, I definitely think of fall, so when a friend gave me a bag of odd-shaped miniature gourds, I saw a whimsical Halloween craft. With a little bit of paint and lots of "bling" in the form of glitter, I crafted faux-sugared pumpkins and ghosts. These charming Halloween ornies, bowl fillers or "treats" can be handed out to friends and co-workers this season. Any shape gourd will work for this craft. Some of the gourds I had seemed perfect for ghosts and others for pumpkins, but even with one shape, you can make both Halloween characters. Paint each gourd using either orange or white acrylic paint. Some of my gourds had stems, while others did not. I chose not to paint the stems. I just thought they looked more natural that way. Paint two coats for complete coverage. Use a black paint marker and black acrylic paint to make faces on the pumpkins and ghosts. 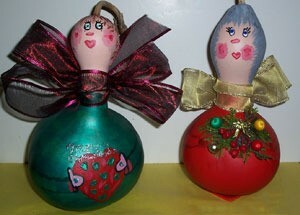 Completely cover the surface of your painted gourds with Mod Podge. 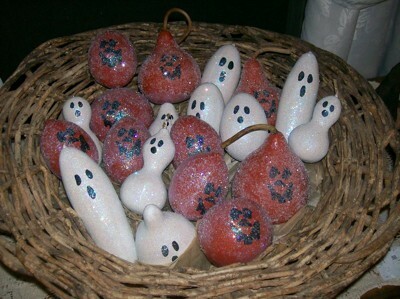 While the Mod Podge is still wet, sprinkle clear crystal or iridescent glitter over the gourds. I used both by mixing them together. Shake off the excess and allow them to dry. There is no need to buy several colors of glitter for this project. If using the Halloween gourds for ornies, make a loop with ribbon and hot glue it to the top or tie it to a stem. 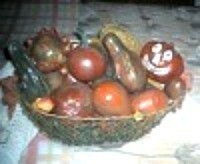 Purchase small gourds to use this year and then allow them to dry for next year. Small gourds take several months to dry so better get started now. Mold on the gourds is a natural part of the drying. Store in a cool place with plenty of room to rotate them often. Use rubber gloves as the mold on some may irritate some people. Check with your local produce departments in the supermarket to see if they have any left over after Thanksgiving or Halloween they would like to get rid of. Once dry they will be very light in weight and you will be able to shake them and hear the seeds. Now that they are dry, use rubber gloves to wash with a bit of Clorox and dish soap. It takes some elbow grease to get them clean. Allow them to dry. Once dry, paint with acrylic paints. When dry and painted to your liking, spray well with several coats of poly. Spray either matte finish or satin. They will last for years to come. Mine are about 10 years old. Store and make sure no critters like mice can gnaw on them to get to the seeds inside. I have a few gourds left over from my fall/Thanksgiving decor. They are in great shape and can last almost forever! 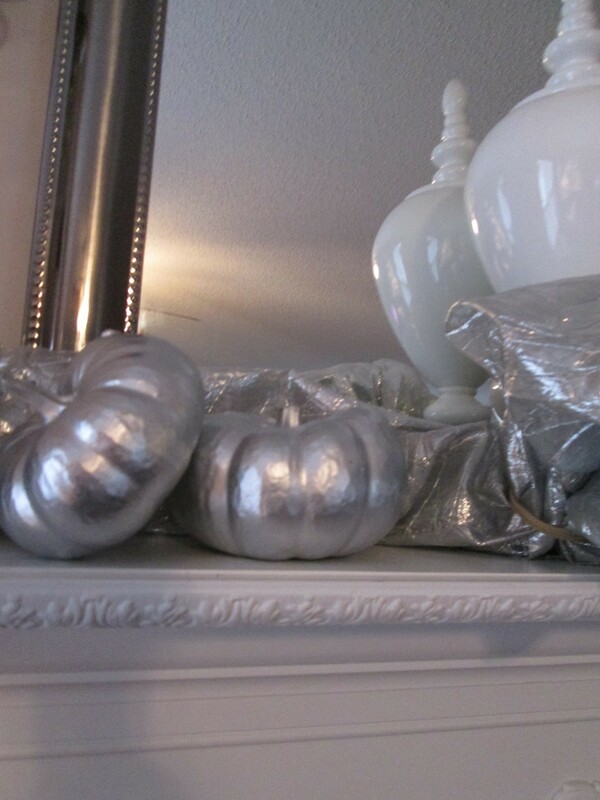 Just by using silver metallic spray paint, you can create elegant decor for less, the gift that keeps giving! Pick your gourds, wash in dish soap and bleach, let dry, about an hour. Pick which colors of acrylic paint you want to use on the dress, and skin tone for the face and you are ready to paint. When you are finished painting, set aside and let dry, I always let them dry overnight just to be sure. 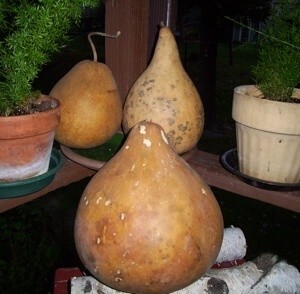 Question: What Tools Do I Need to Get Started Painting Gourds? I am new at painting gourds. What are the best tools to use as a beginner? Where can I purchase them without spending a lot of money? Pick up a cheap set of paintbrushes and a variety of paint that you think would look good. If you have a dollar store or similar type store near you that would be a good place to start. Other than that I would try hobby lobby, Michaels, or Walmart. If you are going to do it often I would recommend getting a nicer set of paint brushes and if you are going to paint a background color spray paint might be a quick and easy option. Just be sure to let it dry before you paint any designs.